One day I was walking through my bedroom when I noticed a box that I had not unpacked from nearly three years ago when we moved into our home. I opened the box and saw that it was filled with vibrational mysts made by my friend, Rachel Ginther, at Garden of One. Rachel has a retreat center in the Catskill mountains, and I have visited many times. I would watch her carefully dispense drops of essential oils and mix the mysts, and even helped her to print the labels for the cobalt blue glass bottles. I bought several of her mysts at wholesale cost and sold them in a local store. Of those that I sold, I kept about 30 of the bottles for myself. I put them on a spice rack on a shelf in my closet and began using them again. I love to stand and look at all the different mysts and set an intention for the day. At the end of the day I enjoy spraying myself with Dreaming Myst. To my delight, my four-year-old began asking if he could be sprayed too! He now asks for the dreaming myst at bedtime, and we select mysts to try in the morning. The thing is, that these mysts were originally for my needs from eight years ago. Not for the needs of my son today. I was inspired to create blends that would be just for him (and a few for me too). Not knowing much about essential oils (I had dabbled awhile back, but stopped when someone told me to be careful of how I use them), I thought it would be a great idea to meet with my friend that sells essential oils. I went to her house and saw her enormous collection, and started to get excited. I wanted to have a large collection of oils too! Without understanding how I would use them yet, I decided to purchase the Young Living Premium Starter Kit for a grand total of $172.79 (including tax and shipping). The starter kit seemed like the quickest way to start building my collection with a base of oils that could be used in numerous ways. The minute I got home I started to have buyer’s remorse. I realized how much money I had just spent, and didn’t really even know what I had just bought. I’m normally a researcher, and spend lots of time finding just the right thing to buy at just the right price. This time I jumped right in without hardly any thought at all. I tried to convince myself that it was a good thing that I didn’t overthink it, but then I started to overthink it and decided maybe I should have done a little more research first. First off, $172.79 is A LOT of money! And I was going to have to wait for it to be shipped to me (which took I think nearly two weeks). The other thing I couldn’t resolve in my mind was that I had heard so many people say that Young Living oils are superior to all other essential oils on the market. Was this even true? Are they really worth the higher price? who is dedicated to supplying essential oils to the aromatherapy practitioner market and educated public. They were selling the brand that they were recommending. As is my nature, when something I need doesn’t exist, I create it. It’s why I started Marvy Moms, a local networking group, my businesses, and many other things. So, I started calling essential oil companies to ask them for answers based on the list above. I realize that I’m not an essential oil expert, and I’m not an aromatherapist (yet). I’m just a mom that wants to help my family to use essential oils safely for the many uses that are available. So far I have interviewed 17 U.S. essential oil companies, and I’m in various stages of contacting more. In most cases I’m speaking directly with the owner of each company. I’m so excited to be putting this essential oils series together in order to share what I’ve learned with each of you. Each company is also sending me customer-size bottles of their essential oils. I will be reporting on my interviews as well as things like labeling, packaging, and of course, my experience with the oils themselves. I’ve had mostly positive experiences with every company I’ve interviewed. The response from them has been wonderful. They are excited to see someone doing this research and sharing it with the general population (you!). So the short answer is, YES, you can get high-quality essential oils from more than one source. There are many alternatives available. Over the next several weeks I will be posting articles about each of the companies that I’ve interviewed. In the end I will pull it all together into a side-by-side comparison that you can use as a reference when selecting where to purchase essential oils. Here are the company profiles that I’ve published so far. More to come! Comment below if you have a company that you’d like me to review. Chances are I’ve already done it, but if not I’ll add them to my list to call! Be sure to sign up for email updates from Marvy Moms so you don’t miss a thing. I have gone through the same process you have with starting at an MLM – and come up with similar conclusions. Most of my research has been done online, so I am very interested in reading your findings. Have you spoken to Native American Naturals/Rocky Mountain? They have combined and I wondered how the merging affected quality. Alison, I actually never heard of Rocky Mountain Oils until a couple of days ago. I’ve had email-only correspondence so far with Paul Dean from Native American Nutritionals, and we’re working out a time for a telephone interview. I’ll be sure to ask him about Rocky Mountain too. From our conversations so far, I’m guessing that he wouldn’t put his name on anything that he didn’t think was high quality. I forgot to mention that Robert Tisserand has just recently become affiliated with Plant Therapy, which to my minds, speaks volumes. I have talked with Plant Therapy, Kimber. I think I will go back and talk to them again before I do my write up since the addition of Robert Tisserand is new since I first spoke with them and people seem to be curious about the nature of the affiliation. I am new to Essential Oils. Since most of the brands are listed here are US brands, have you tried any products from the UK? I heard many mentioned about Tisserand, how are they compared with Native American Nutritionals, Plant Therapy and maybe other US products? 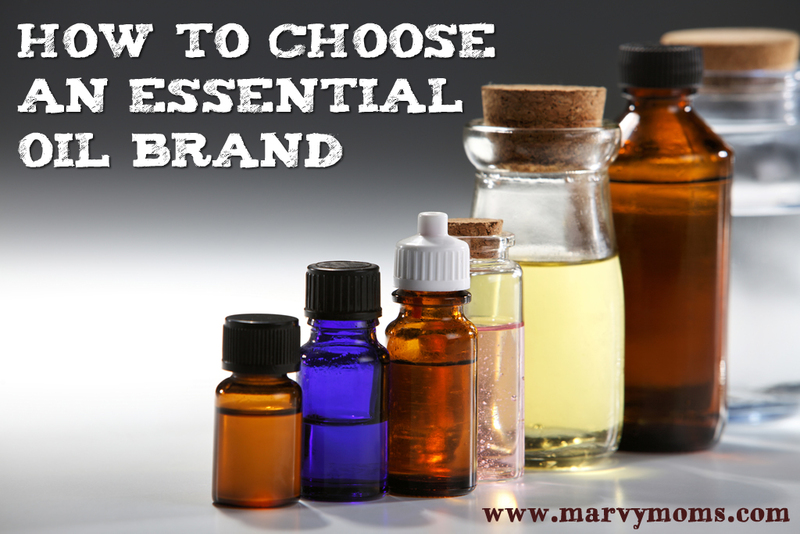 If have to choose between the essential oils from US and UK, which one would you suggest to go for? What about Spark Naturals? Do you consider them a MLM since they have an affiliate program? Kathy, I don’t consider an affiliate program the same as an MLM. However, they have the only affiliate program I’ve ever seen that charges you a fee to become an affiliate. There are some other red flags with this company. For instance, they recommend ingestion and neat use. On Peppermint, they do say “Dilute for young or sensitive skin”, but it should always be diluted. No cautions about possible effect with young children’s breathing (menthol) and no guidelines about safe dilution percentages. I actually did try calling them at one point before I realized all this, and they never returned my call. How about Natures Gift and New Directions Aromatics? Thanks!! Nature’s Gift is coming up next, Amanda. I haven’t contacted New Directions yet, but with so many requests, I’m going to give it a try. So far I’ve only interviewed U.S. companies, and ND is in Canada. They do at least have a U.S version of their online store. Have you checked eden’s garden? Not yet, Sarah. Thanks for the suggestion! I’m curious about Eden’s Garden e.o. Have you interviewed Veriditas Botanicals? I’d love to hear what you think about them. Also Floracopeia! I would love to hear your thoughts and findings onVeriditas Botanicals also. Thanks. I have tried reaching out to Aura Cacia, Linda. They are such a large company that it’s been a challenge to find the right person to talk to. They have certainly been around a long time. I use some of their carrier oils, but haven’t purchased any of their essential oils. I’m glad they are on the shelf in my grocery store if I need something in a pinch! I second the suggestion of Veriditas Botanicals! They are sold in many co-ops in the Twin Cities, MN area (where I’m at) and I personally adore them so it’d be interesting to see what your thoughts are! I run a feline leukemia care center in Stillwater, MN and have used some of Veriditas Essential Oils (lavender in a diffuser for the cats + others for myself) and have been pleased with the quality. I would be interested in your findings on this company when you get to them. If you need volunteers to test specific essential oils, I would love to help! Thanks for all of your research and work on this project… Education is the key for all of us! Do you lean more toward one company? I really want to find oils I can trust. I recently used lavender neat and broke out in a rash! I was patch testing my skin for sensitivities. When I would ask people affiliated with this mlm company they would say it’s impossible to be allergic to an oil. Ummm… I’m pretty sure it’s not impossible! Are you an aromatherapist now? I’m looking for someone to work with. Casey, I personally would not use any oil neat. The only exceptions might be lavender or tea tree, but only after diluted wasn’t effective enough. I would start with the lowest dilution and titrate up to find the sweet spot. Even for those two oils, neat use should be used sparingly for acute conditions only. The higher the concentration the more likely you are to have a reaction and/or to develop a sensitivity. And yes, you can be allergic to an essential oil. You can be allergic to anything, an essential oil is no different. Some companies will tell you that their oil is so “pure” that there is no way you can have a reaction and this is just not true. They may tell you that you are having a detox reaction. Also not true. If you have a reaction it’s your body telling you to STOP what you are doing. Good for you for listening to that! I’m so glad to hear that you are going to work with a certified aromatherapist. It will save you time and money and ensure you are using them safely. I am not yet an aromatherapist, but I am working on it! There are a few companies that have aromatherapists or aromatherapy pioneers on staff: Plant Therapy, Nature’s Gift, and Aromaceuticals to name a few. There is no reason that you need to choose one company. Read through the seven essential oil company profiles I’ve written so far and start researching those companies first. Keep checking back here as I’ll be adding more soon! You’re sure to find a few that you will love and trust. Have you looked into NOW oils at all? I use several and have been happy with them, but I am still fairly new at this and can’t really compare to much else. Thanks for doing this. The info is great! Have you done research on Aromatics International essential oils? I would love to hear about Eden’s Garden. Thank you so much for sharing your findings. It has been helpful reading all the comments and your responses to them too. I saw someone else suggested on another post that you might look into Original Swiss Aromatics and I wanted to give them a mention as well. Thank you! Selah Essential Oils is a local company and I’ve heard great things, but my best friend researched some and she thinks there are red flags. She also heard some of their oils pure and some are not. Can you please help me? I was wondering if you had looked into Ovvio oils. I noticed a lot of their products popping up on Amazon. Their website says they sell organic oils and are 100% chemical free. Hi Leanne! I have never heard of that company before you mentioned it. I checked the Blue Tansy Analysis Facebook group and a couple of people have asked about the company. No one seems to know much about them. With only 15 single oils listed on their site, I’d be looking at several other companies before this one. I don’t see anything on their website about organic status as you mention. They list country of “Origin”, but nothing about Organic, maybe that’s what you were seeing. Have you seen the company profiles on Marvy Moms? That should be a good starting place for you to find oils. I’d stay away from Amazon as a place to find essential oil suppliers as I find it better to buy directly from the retailer. Lots of great companies out there! I’d love to hear which ones you end up using! Healing Solutions is not a company that I would even consider interviewing, Chris. Some of their oils have been tested by Dr. Pappas and were adulterated. Plus, they have oils that can’t possibly exist such as “Apple” essential oil. Lots of great companies to choose from, this is not one of them. So I am trying to research different essential oil companies, and I have found one called Ovvio Oils. Would you be able to look into them and see if they are reputable with good quality oils? Hi Amber, I am not at all familiar with this company. At first glance, it seems that they do most of their business on Amazon. Their website has a limited amount of single oils available (only 15 total). Some of their single oil product descriptions are generic text about the company rather than any meaningful info about the oil for sale. Plus lots of strange typos which drives me nuts, lol. I would personally be looking for a different source for essential oils. I was interested in essential oils but did not want to go with a MLM company like YL which is the current favorite in our community. I opened up a real can of worms when I started doing a little bit of research. I went with Edens Garden, but was very interested in other companies like Native American Nutritionals and Mountain Rose. I would love to see your interview with Edens Garden. Thank you so much fro distilling all the information down for those who are interested. It is somewhat daunting to sort out all the controversial information. Hi Jacqueline, I actually never interviewed Eden’s Garden. They had some issues that it sounds like they are sorting through now, so I may consider interviewing them down the road a bit. I, too, would like more information about Edens Garden, as I am impressed with them – so far anyway! I hope you do interview them. Do you mind sharing what issues they had?